Local drivers Callum Bradshaw (CRG/Parilla) and Harry Thompson (FA Kart/Vortex) have qualified fastest in the OK and OK-Junior categories at the World Championships at PFI. Jack Doohan (FA Kart/Vortex) is best placed Aussie, 4th in OK-J (94 entries). In OK senior (86 entries), Lachlan Hughes (Ricciardo/TM) is 57th, Jace Matthews (Ricciardo/TM) 59th and Flynn Jackes (Tony Kart/Parilla) 74th. A weekend which promises to be as eventful as ever, thanks to the 181 entrants who took part in scrutineering yesterday and today challenged each other around the PF International Circuit in the last event of the 2017 CIK-FIA World Championships, with the categories contested being OK and OK Junior. The changeable British weather has already tested mechanics and drivers: they tried to find the ideal setup for the 1,382 metre track. 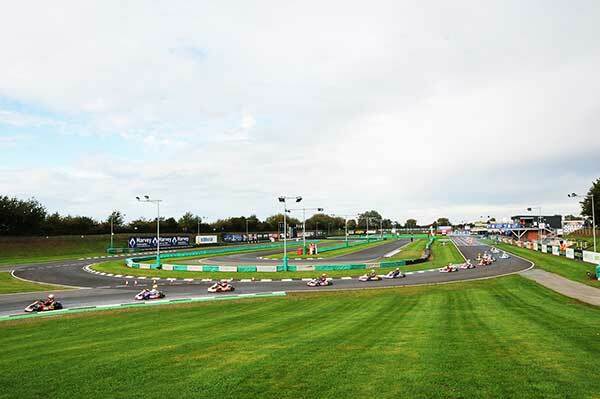 The circuit is full of differences in heights and fast stretches which end abruptly with sudden braking points. With Summer now over the drop in temperature is having an influence on the competition: in tomorrow’s heats drivers are going to have to drive under an overcast sky, with some sunshine at times and with an average temperature which won’t reach 20° degrees. Maybe it is because he is racing in his country, but without any doubts Callum Bradshaw (CRG-Parilla-LeCont) managed to put in a terrific performance: the Englishman grabbed the OK pole-position with the time of 54”892. 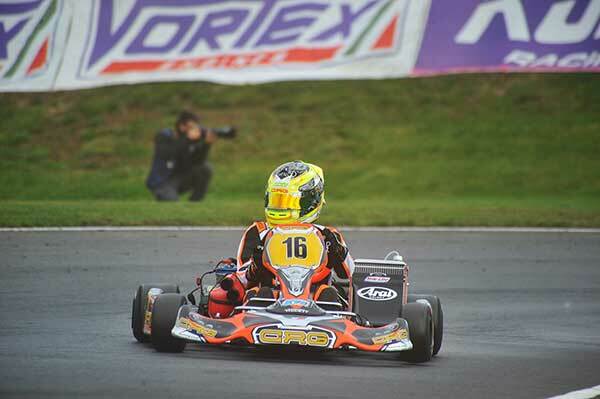 He won the CIK-FIA Karting Academy Trophy in 2016 and he is now eager to redeem himself after the 16th place scored in the European Championship. He has become the most dangerous rival for the Russian Pavel Bulantsev (Tony Kart-Vortex), second at 28 milliseconds. Bulantsev was expecting to battle against the new European Champion Sami Taoufik (FA Kart-Vortex), but the Moroccan driver had some troubles and did not manage to go farther than the 28th place. Good performance for the Finnish Juho Valtanen (Kosmic-Vortex),third in 55”120, followed by the British Finlay Kenneally (Tony Kart-Vortex). 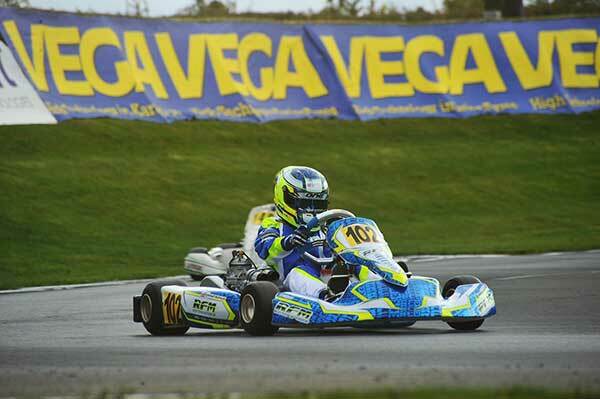 He was the runner-up in the last OKJ European Championship: the English Harry Thompson (FA Kart-Vortex-Vega, above) started with the right foot and achieved the best time with 56”809. Bad luck, on the other hand, for his main rival, his fellow countryman and reigning European Champion Jonny Edgar (Exprit-TM): he only managed to gain the 41st place. Another British driver, Christopher Lulham (Exprit-TM), in the top positions: he was second behind Thompson for just 3 milliseconds. Third position with 56”902 for the surprising Italian Francesco Pizzi (Exprit-Vortex). Jack Doohan (FA kart-Vortex) confirmed to be in great shape and set the fourth time with 56”910.